If you love catching countless beads from vibrant parade floats, eating delicious authentic N’awlins style food and listening to some of the biggest names in music then Mardi Gras 2019 at Universal Orlando is the place for you. The best part Florida Residents? You don’t have to fly to New Orleans to have that authentic Mardi Gras celebration because it’s right in your backyard. Insider Tip: Head over to the Music Plaza stage early to get up close and find a nice spot in the grass for the nightly concert. 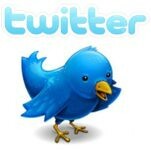 Visiting with a group? Take turns grabbing your fill of N’awlins inspired food & spirits for the best picnic ever. Get ready to unleash your wild side with this year’s parade theme –– Party Animals! You will experience returning fan-favorites and new vibrant floats with lively characters decorated in animals from around the world including the jungle, arctic, swamp and more. Passholders can also enjoy the parade from a special viewing area in front of Mel’s Drive-In™. Don’t worry! No matter where you’re viewing the parade from, be prepared to catch beads by the handful. Interested in riding and tossing beads from the Mardi Gras parade floats? 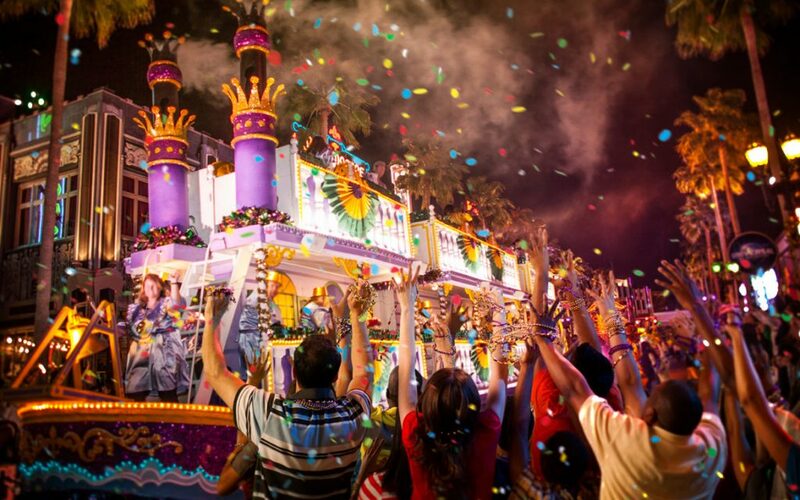 Passholders can sign up for a chance to be a Mardi Gras float rider with up to five guests! 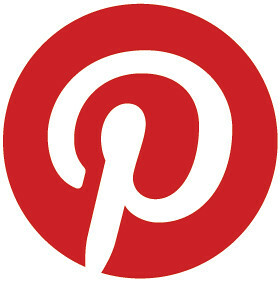 Visit the sign-up page here. Insider Tip: Love catching and collecting Mardi Gras beads from the parade floats? Make your way towards the Horror Makeup Show to catch both the beginning and the end of the parade. Make your way to the French Quarter Courtyard located in the New York area, loosen up your belt and get ready to try a wide variety of mouthwatering bite-sized Cajun favorites including jambalaya, shrimp gumbo, Andouille sausage, sugary-sweet beignets, and more! Visit the Mardi Gras Food Guide for more mouthwatering details. 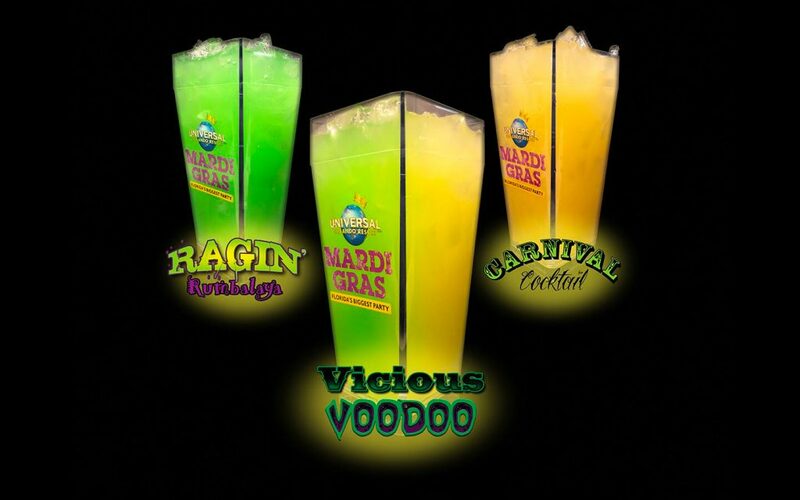 Quench your thirst with our refreshing Mardi Gras themed specialty beverages, featuring slushies, a wide variety of craft beer selections and delicious cocktails including the Ragin Rumbalaya, Carnival Cocktail and Vicious VooDoo. Stay tuned for more mouthwatering details. 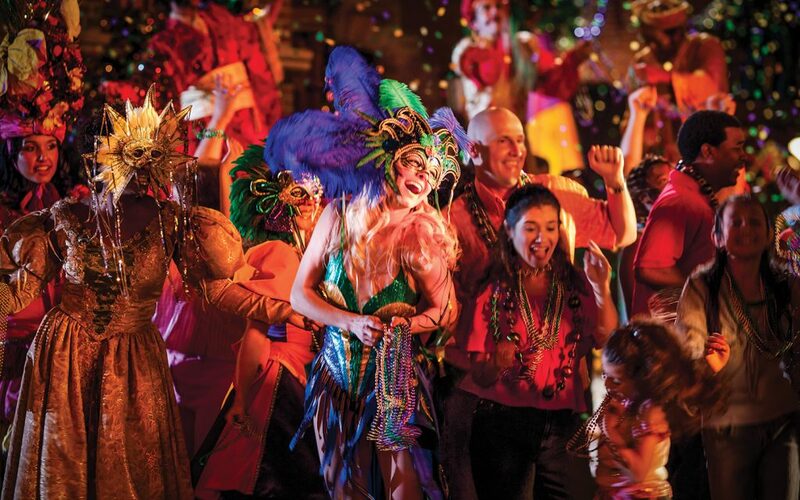 Visit the French Quarter Courtyard and join in the Mardi Gras celebration as you encounter stilt walkers, dancers, colorful parade characters and more wandering the streets. Don’t forget, not only do the Mardi Gras characters carry extra beads, they love to interact with you and take photos. So make sure your camera is handy and don’t be shy to ask for a photo. 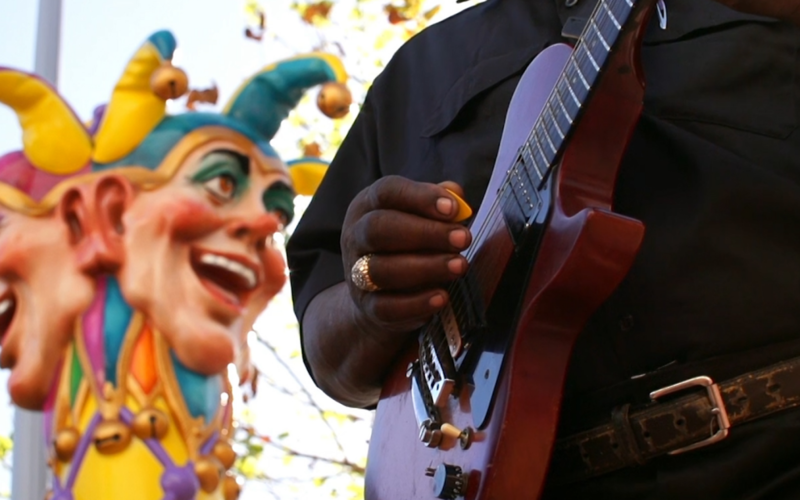 Now that you have a full stomach and a drink in hand, stick around the French Quarter to hear the signature sounds of these authentic Big Easy bands. 7. 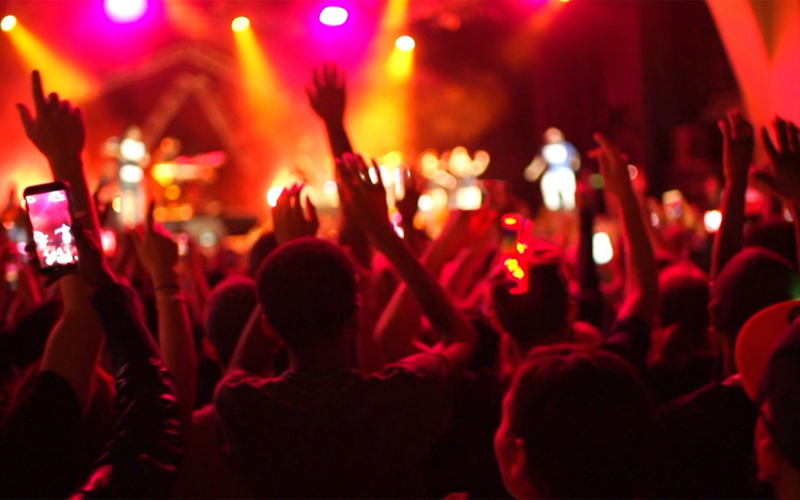 Have The Time Of Your Life! Whether you’re coming for a day of family-friendly fun, or to wild out with friends, start the countdown now and for a limited time, take advantage of great Universal Orlando Annual Pass Deals to help throw the party and get up to 6 months FREE. Get ready to find your inner party-animal with us at Mardi Gras! Tell us about some of your favorite experiences at Universal Orlando’s Mardi Gras 2019 in the comments below. And make sure to share your Mardi Gras 2019 moments on Twitter, Facebook or Instagram with #UniversalMardiGras. 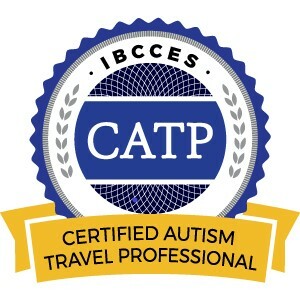 This entry was posted in Florida, Orlando, United States, Universal Orlando Resort and tagged Mardi Gras, Universal Orlando Resort on February 6, 2019 by siera.